April-7-2012 My 2011 3.7L Mustang made 528.37 RWHP on a stock motor. We were conducting a test for the DEI Intercooler Sprayer. We were using Nitrous Oxide to chill the IC. We made a full run while spraying the Nitrous Oxide. As it turns out the fan blew a fair amount of the Nitrous into the air intake. This is the reason for the 67 RWHP gain. This is the 2nd highest number recorded for a 3.7L motor to date. 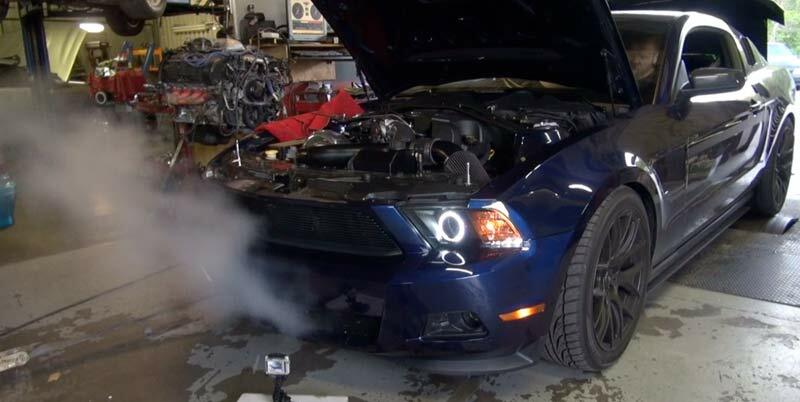 Another V6MP Member has recorded a 551 RWHP with E-85 pushing 12.5 lbs of boost. The Injectors ran out of fuel at the end but they did a good job of keeping up until then. This is not a mod to repeat any time soon. Nor would we suggest it, Nitrous Oxide needs a corresponding tune to function properly. This is a fluke but it is a testament to the 3.7L Mustang motor. Here is the full dyno run. 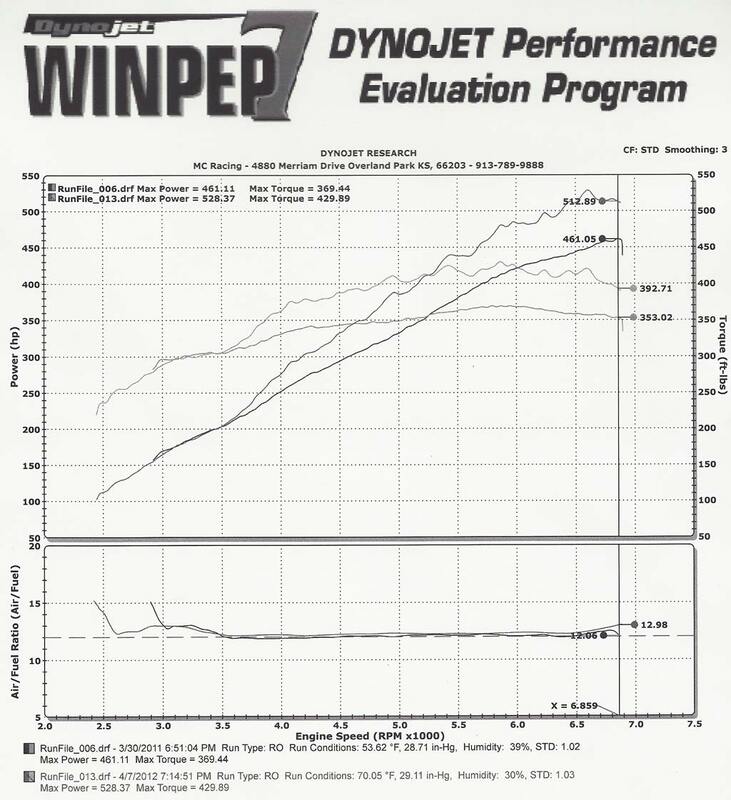 This shows the previous Dyno high of 461. It also shows running lean at about 6500RPM. Good thing I had 93 octane in the car. Its tuned for 91 octane. Follow this link for the main DEI Intercooler Sprayer test.